My main man Coach Joe Kenn, Head Strength and Conditioning Coach for the Carolina Panthers made the most profound statement during his clinic last year at the Panther Stadium. He said, “The only absolute is that there are no absolutes.” This simple statement blew me away. Coach Kenn developed the world famous “Tier System” that strength coaches from all over the world use to get their athletes primed. One intricate part of the Tier System is that they squat before they perform the Olympic style movements. At the time this was taboo in the strength and conditioning world. Coach Kenn wanted to make sure that his athletes could produce power after being fatigued. It worked! 10 years ago I would have told you that squatting every day was insane. I might have laughed at you. I would have been wrong. This morning someone commented on one of my squats about Charles Poliquin saying that training protocols should be designed to match one’s personality. I totally agree! There are others, but this is a great start. The “Squat Everyday Program” by Cory Gregory, Co-Founder of Muscle Pharm, is perfect for me. I have to always be challenged, and I love to experiment with new ideas. 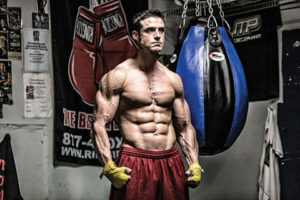 I have been training now for over 31-years. I have played college football, competed Nationally in weightlifting, and competed internationally in Powerlifting. I broke several world records in the sport of powerlifting, and I can feel each and every one on a daily basis. The Squat Everyday Program that Cory developed keeps my hips fresh, and it is working great for priming my body in my other lifts. Right now I am performing the best that I have in over 10-years in my Olympic lifts, which makes me feel like a kid. 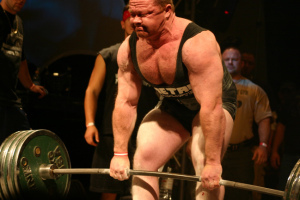 The possibility of hitting a 400+lb Clean & Jerk at 42-years-old makes my heart pound out of control with excitement. For every one of these absolutes, I can give you examples of people defying them. I am talking about Olympic Gold Medalists defying them. Get out of your little gym and see the world! Open a book and read! Experience the world! If you are a coach, use your own body to experiment. Never stop looking for something better. •	Conjugate method works. The body responds to change by adapting to the new stimulus. •	If you are plateauing, try a completely different approach for a while. •	If the champions are using it, it probably works. •	Be careful of your own personal sources of information. What have they done? Who have they coached? What are they doing? What’s their background? •	Are you making measureable improvement with what you are doing? These are just a few, but you won’t be disappointed by any of these sources. The whole point of this article is to open your mind. I want you to put aside all absolutes. I want you all to be in the constant search for knowledge. Most importantly, enjoy the process! I am developing my own version of Squat Everyday that will incorporate all the lifts, and I will explain how to use the program based on your own goals. Stay tuned!